Fabricators of limestone building materials, Biesanz Stone Company has been a leader in commercial limestone applications for more than a century. Our Minnesota Dolomite Limestone (MDL) and Natural Stone Panels have been the trusted products for architecture and design professionals throughout the country. With applications on a variety of project types, Biesanz Stone has become synonymous with quality and expertise in limestone fabrication. We fabricate our MDL and Natural Stone Panels at our climate-controlled plant ensuring the strictest quality control of our products. Biesanz also utilizes the latest quarry technology that allows for the extraction of all of our natural resources. Our quarry consists of 480 acres and has 2 distinct ledges: Travertine Ledge and Levee Ledge. Our standard mining schedule consists of mining more than 175,000 cubic feet/year, with the option of increasing to 300,000 cubic feet, depending on need. 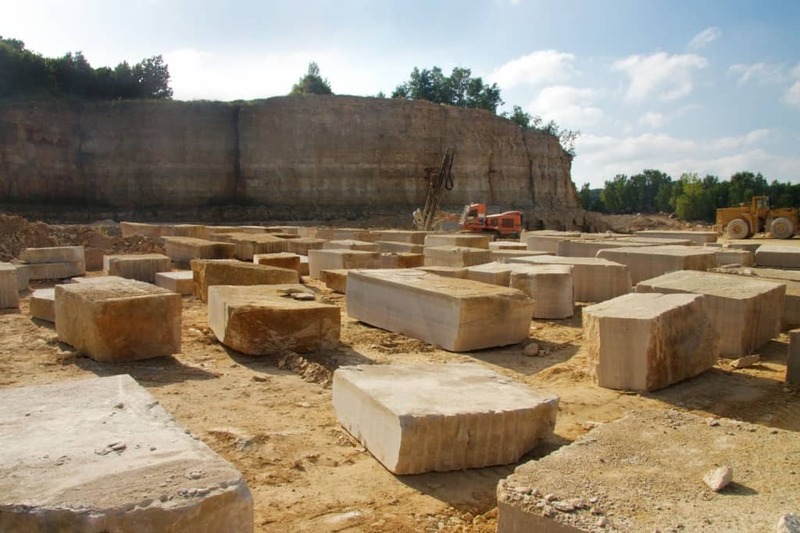 Bulk inventory in our quarry is in excess of 400,000 cubic feet of dimensional stone.